Yep, it’s that ruminative time of year when it is often hard to put those gloomy musings into a more cheerful context. The Bard himself evoked it in that memorable quote from Richard III and it inspired the great John Steinbeck’s final novel, ‘The Winter of Our Discontent’, an intriguing tale of myriad moral dilemmas in a sometimes corrupt world. Listening to Health Minister Simon Harris’s forebodings about a hospital crisis in the making on Newstalk radio yesterday evoked both those great literary works. That great indictment of our failure to order our own affairs, the hospital trolley crisis, is going to get worse, he admitted. This year has seen the worst-ever November on record for hospital overcrowding. As the torrents of cold rain poured down periodically outside there were reminders of another literary device, pathetic fallacy, which in this instance turns on the false notion that the bad weather is in tune with our gloomy moods. The health minister appeared to be bracing himself for his very own “Winter of Discontent”. It could well be make or break for a young politician who has promised much in his still young career. But it could also tell us a lot about the fate of others among our prominent politicians. It could also affect questions of election timing. Politicians and voters share a dislike of bad weather winter elections. Politicians’ hatred of winter elections, with news schedules dominated by hospitals with frail elderly people waiting days on trolleys, cuts much deeper again. As Mr Harris was speaking on ‘On the Record’, doctors were gathering for an extraordinary general meeting of the Irish College of General Practitioners. A sizeable minority of them have grave reservations about how abortion services will be introduced in practice next year. 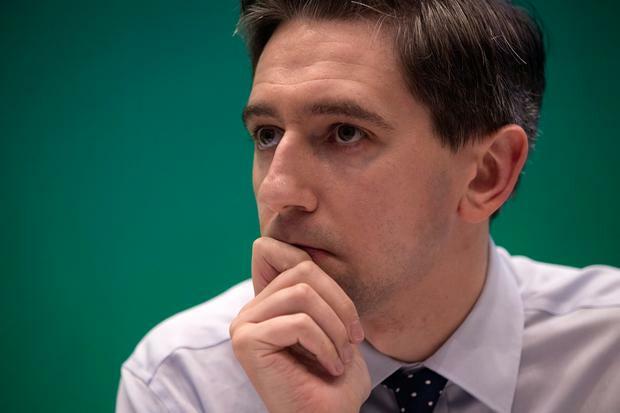 The doctors’ gathering was a reminder Mr Harris is sworn to have the new abortion service, endorsed by 66pc of Irish voters on May 25 last, up and running in the new year. But with just three sitting Dáil weeks before the Christmas break, the enabling legislation for this remains at the report stage, which is the fourth in the five-step law-making process. After that it has to clear the Seanad where the issue will be equally fraught and amendment after amendment will be hard fought, as is currently happening in the Dáil. Parliamentary progress has been slow with a large number of amendments being contested back and forth. The doctors’ organisation wants GPs to be given the right to “opt in” to providing abortion services. It is already clear doctors who do not wish to provide abortions will not be obliged to do so. Mr Harris has always said GPs are entitled to a “conscientious objection”. But the minister is adamant dissenting doctors must refer patients to medical colleagues who are willing to carry out the procedure. “The law on abortion is changing; the law on conscientious objection is not changing,” Mr Harris said on radio. But some doctors see providing the details of where and how a woman can get an abortion as being complicit in something which is contrary to their own strongly held beliefs. Over time this may turn out to be not such a major issue, especially as a women’s helpline, staffed by qualified personnel, for crisis pregnancy is to be established, and as better information systems are established generally. But women in isolated communities, where the doctor is vehemently opposed, may be left in a difficult situation. It remains a fraught and difficult topic on all sides, just as the abortion issue itself has been for a very long time. All of this is compounded by other issues for doctors including payment, adequate training, and coping with an additional workload. Given all of that, “early in the new year” just might prove to be an over-ambitious target for the start of abortion services. Yet there is a sense that, given the landslide result last May, something which is now very much “the will of the Irish people” will go ahead without too much delay. But the issues of abortion implementation suddenly become relatively insignificant when you contemplate the greater malaise in the health services. Let us again acknowledge that every day tens of thousands of people get the best of care in the Irish health system. Some things work very well indeed in health care and it appears excessive to dub the entire system as being in crisis. But the two big bugbears remain the pinch-point that is the emergency service, which also doubles as a point of access to the system, and the inequity which allows people with health insurance jump ahead of public patients for non-urgent procedures. The quality of care in our health system emerged again last week amid a series of horror stories which came in a survey of patients’ experience of hospital A&Es, with one patient describing the experience as “a complete zoo”. Spending as much as four days on a trolley in a noisy, draughty corridor would promote the gloomiest of winter thoughts of discontent. The damning comments emerging from the latest National Patient Experience Survey, which asks people to rate various aspects of their care and was released last Tuesday, are very far from encouraging. Granted, some patients who attended the A&E departments did recall positive experiences. Seven out of 10 people, amounting to 6,000 of the patients who responded, waited more than six hours on a trolley. Trolley-time denominated in hours rather than days is beginning to be seen as a triumph. The experience unsurprisingly varied from hospital to hospital. But it was alarming to read of staff under pressure and unable to give adequate advice on medication to patients being discharged from hospital. On the credit side, in a system not often renowned for its transparency, let’s acknowledge the Health Department commissioned the survey, which was carried out by the Health Information and Quality Authority (increasingly known as Hiqa). And it was launched by the minister himself. In sum, it found that 84pc of patients -the equivalent of 13,000 people – said they had a “good” or “very good” overall experience with encouraging praise for the kindness of many staff. But you don’t have to have been near a hospital to envisage the horror of people’s private medical history being discussed in a public hallway. Happily, the stories of hospital trolleys can still evoke public fury. So, the winter of discontent carries lethal political consequences.